availability bell carrier Fido Galaxy Rogers S6 samsung SaskTel telus videotron Virgin wind Want the new Galaxy S6 - where can you get it in Canada? 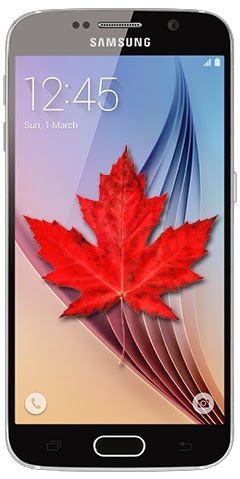 Want the new Galaxy S6 - where can you get it in Canada? Well, we've heard enough of the Galaxy S6 (and we'll probably talk a lot about it tonight during the show), but let's assume you're convinced and you want it. What now? You will get a $50 Google Play Gift Card when you order (whether that's a Samsung or SaskTel thing I don't know). You can pre-order with $100. ...and then a $100 extra if you want the edge. If you preorder the S6 edge now you'll get a $200 headset. Pre-order page is up, but you can't start until March 9th!